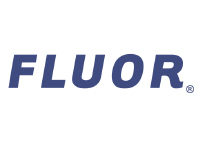 Fluor Corporation is one of the world’s leading publicly traded engineering, procurement, fabrication, construction, maintenance and project management companies. For over 60 years, Fluor Australia has served the diverse needs of Clients in the mining and minerals, oil and gas, infrastructure and other heavy industrial sectors. Fluor’s operations in Australia provide value added and integrated solutions to Clients’ projects in the Asia Pacific region, maximising their performance and profitability and delivering them to cost, schedule and performance certainty. Fluor has been executing projects in Australia for more than 60 years. Along with the company’s project execution capabilities Fluor has been internationally recognized for its excellence in the EPC industry, is committed to improving the communities where employees work and live and sets the benchmark for industry safety and sustainability.